Movies about writers have boundless opportunities to be clever. Sometimes that’s because those who write books tend to have negative feelings towards cinema in general, but the art of storytelling can also prove to be useful in terms of creativity. 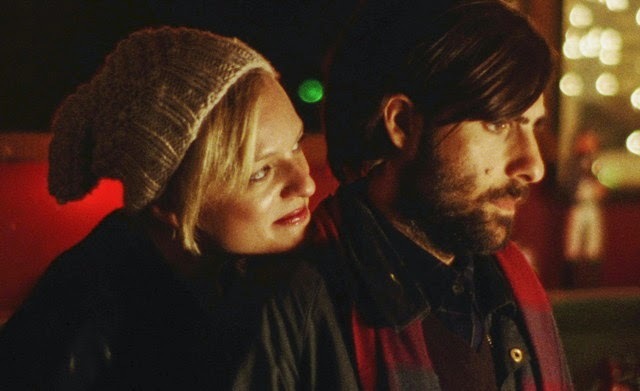 “Listen Up Philip” tells the story of Philip Lewis Friedman (Jason Schwartzman), a writer so obsessed with his craft that he disregards the rest of the world as insignificant and bothersome. As narrated by the fantastic Eric Bogosian, Philip’s story is an enthralling, hilarious, and memorable journey about more than just the man himself. Schwartzman has a certain way about him that helps him portray overenthusiastic and eager characters such as a novelist detective in HBO’s brilliant “Bored to Death.” To play Philip, Schwartzman amps up the self-confidence and makes him a furious know-it-all, intent on dumping on others so that they will have the benefit of having heard his opinion while he praises his many merits. As he ignores his live-in girlfriend Ashley (Elisabeth Moss), Philip befriends an older version of himself, esteemed novelist Ike Zimmerman (Jonathan Pryce), who helps affirm his belief that he is entitled to be pompous and to tune out the rest of the world. Philip’s search for inspiration for his next book is interwoven with Ashley’s attempts to restart her life without the negative influence of Philip and Ike’s own issues dealing with worldly connections, namely his daughter Melanie (Krysten Ritter), that bog him down from what he believes to be his true purpose in life. “Listen Up Philip” is a very entertaining film, with each line spoken by Philip or by the narrator meant to land as bluntly and unapologetically as possible. Philip is first seen huffing and puffing about the man walking slowly in front of him, described as “never in a hurry” but always angry about the speed of others. Philip speaks with a certain intellectual flair that’s at first impressive and then just irksome, and Ike is the perfect match for him, spewing out judgmental decrees about every person and situation he encounters. But it’s not just the writers, since Ashley, Melanie, and Philip’s colleague Yvette (Josephine de La Baume) get to do their share of scathing speaking too. The script is fabulous, and it’s read enormously well by these fine actors. It’s great to see two actresses with roots in television – Moss and Ritter – demonstrating enormous potential for theatrical roles. 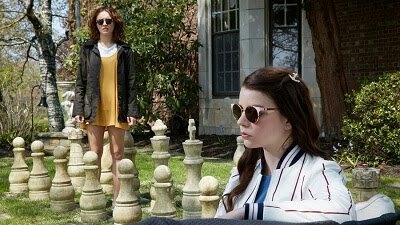 This is definitely not a nice film since its characters rarely spare each other’s feelings, but it’s a wholly worthwhile and marvelously enjoyable experience.